In this episode, Heather shares the highlights from 2018 guest interviews and foreshadows for listeners what 2019 will look like. She shares that she will be publishing a book based off of the principles in this podcast and also has a special request for listeners. Enjoy and get ready for a great lineup in 2019! I only take referrals from those I trust, and I handpick the guests that I choose. I want to keep the integrity of the show by inviting those who truly are leaders with heart—those who have a balance of humility of confidence. I will be very grateful if you’re listening consistently. If you would send over some guest recommendations, whom you think you would enjoy listening to, and from whom you think you could learn. Just let your heart guide you in those recommendations. Don’t overthink it. That would be very helpful. I am going to be writing a book about the Leadership with Heart podcast, including all of the learning that we can take away to provide another medium for those who are looking for more tips on how to grow their leadership prowess. I’ll put into writing for those who can’t always listen to the podcast. You can take it with you. You can underline things. You can make notes. We have to enlist the people on our team, the people in our organization, the leadership team, the HR team, etc. It takes a village to be a great leader, and to uplift the team. This was one of those really common messages. I will be digging deeper to make sure that I get really close and clear about that message in my upcoming book. Make our people feel important. It is actually a part of my personal mission to try to make people feel important. I don’t want people to feel left out. In my interviews, my guests have realized that their people wanted to feel important, and they did what was necessary to make that happen. Look for the greatness in people. Look for the greatness in people, appreciate it, and then do all you can to grow it. This is crucial. I appreciate how much it was echoed in the voices of my guests in 2018. What often happens is we launch forward too quickly to think that we have gotten the trust of our people. But what we haven’t done first is to make sure that we have truly connected with them, in ways that are more than just the job itself, but about who they are, what they bring on the table, and what’s happening outside of work. It’s connecting with them on a deeper level and having conversations with them that might be kind of raw at times. I think it’s worthwhile diving deeper into what that looks like from a tactical perspective of leaders. When you come to work, you bring in your whole self. Some people may try to hide it, but in the end, we struggle with the things that are outside of work. As a leader, it’s up to us to peel back that onion and figure out what’s going on underneath. We can’t very well get the best out of people if we don’t consider them holistically. Allow the voice of the people to drive the team. 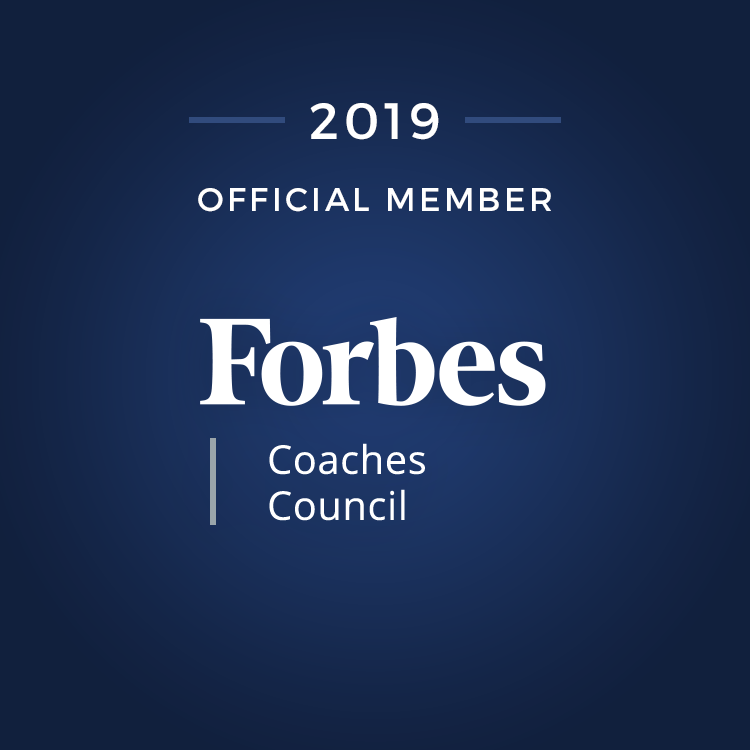 Allow the voices of the people to drive team dynamics, team actions, team initiatives, and even organizational initiative. You have to be actively listening to the voice of your people. The voice of your people is powerful. And when they’ve realized that their voices are powerful, they’re going to use them more frequently. You’re going to be seriously surprised what you receive from hearing their voices. Once you let your biggest assets use their brilliance for the benefit of the team and the business, you are going to see how innovation just explodes, and how problems that you may have go away. When people are going through tough situations in their life, they need a leader who can sit, listen and be patient with them. There may be something personal going on with them, and they need someone who is there for them to listen. Maybe they made a mistake at work, and they need you to not judge and immediately take on the boss role. They need you to be a confidant, a trusted adviser to them. It is critical. Be a leader of integrity and humility and strike the balance with confidence. No one’s going to follow that meek leader. You have to have a voice. You have to show a certain amount of strength. But strength is also exhibited by vulnerability, and by showing that you’ve made mistakes, and admitting to those. I read and hear about this all the time. We are not seeking perfection. 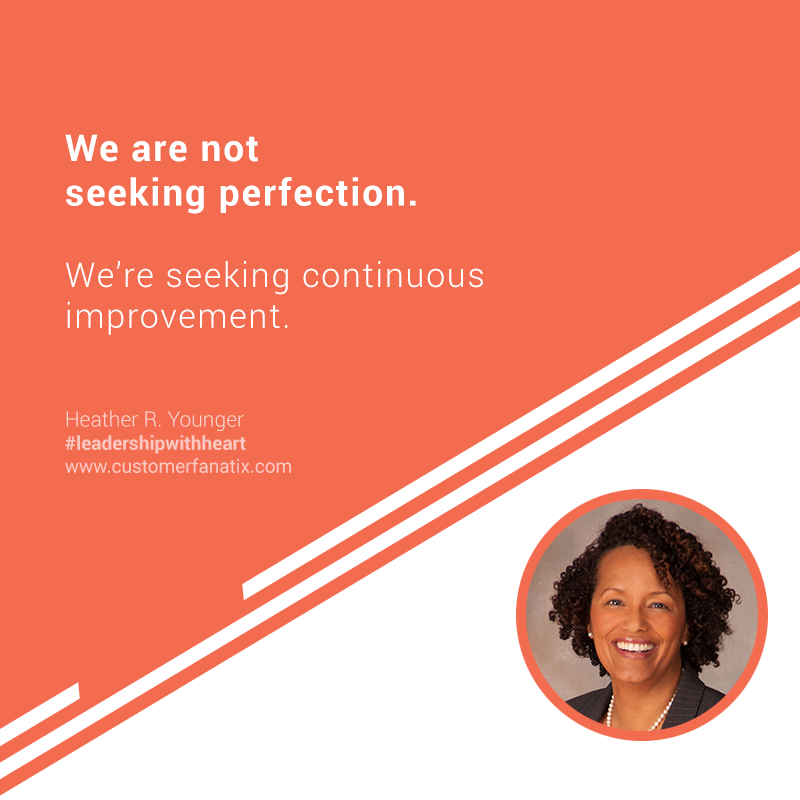 We’re seeking continuous improvement. Once we come to that reality, we don’t want to get too far ahead of ourselves. Live for today and look towards tomorrow in a positive light. Don’t let perfection debilitate you. Don’t let it stop you on your tracks. Keep going. Know it’s a journey. You have a whole bunch of people along the way with you on this journey and it can be painful, but you don’t have to do it alone. I’m going to be honest. I’m not going to change a lot. Why fix what’s not broken? Our listeners are continuing to increase. The conversations have been absolutely amazing. Oftentimes, I leave with goosebumps on my arms. I think that we’re doing a great job, but I can definitely stand to improve, with my philosophy of continuous improvement. I would love you hear from you. Reach out to me now and more often. Let me know when you think a particular episode has been amazing. Listening and giving your feedback will really help us get better to provide you more of what you need, what you can listen more often, and to feel confident referring it out to more people. I do want to thank you so much for sticking with me on this journey. Leading with heart is really one of the very best things to do. Being a leader with heart is one of the very best things to be.